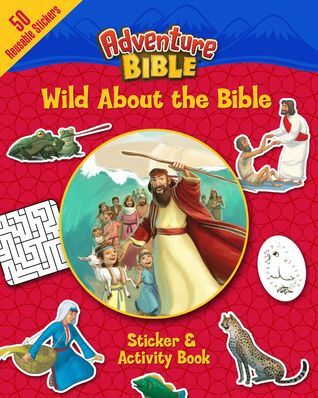 Kids love sticker books, so this book is great in not only being fun but teaching Bible stories! There is more to this book than stickers, there are puzzles, word searches, and coloring pages. Now it says reusable stickers, but that’s not totally true. It sticks like a regular sticker and if you are fast you can take it right back off but if you leave it for a while, it will rip and not really work. Other than that this is a fantastic book for kids ages 4-8.